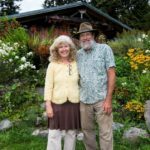 Brent Charnley and his wife, Maggie Nilan, have been producing organic wines on Lopez Island since the mid-1980’s. 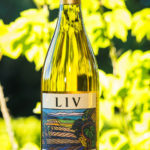 The climate of Lopez Island – the southwest exposure, cooler climate and low rainfall – is ideal for wine varieties from Europe. In addition, the fields have been farmed without pesticides for over 100 years- making it ideal for an organic winery. Try the Madeleine Angevine, Siegerrebe, Malbec, Merlot, Chardonnay and Fireside Port at Orcas Island Market. The Madeleine Angevine is the perfect seafood wine. It’s a crisp, dry white wine that pairs well with fresh seafood, including shellfish, cod, halibut and shrimp. 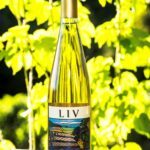 The wine has hints of tropical and citrus fruit flavors, crisp acidity, and subtle herbal notes. Originally this grape hails from the Loire Valley of France, also a marine influenced region, and is reminiscent of a Sancerre. The Siegerrebe is an off-dry white wine that is the perfect companion to appetizers, Asian foods or light curries. Its crisp acidity is perfect to sip due to its mild sweetness, or to temper spicy foods. It has notes of grapefruit, litchi nuts, flowers, and spice notes of clove and anise. The Malbec has a spiciness, with black pepper and rich berry fruit notes. It pairs well with rich, dark meats and heavy sauces. The Merlot grape variety comes from the famous St. Emillon region of Bordeaux, France. 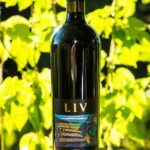 It contains notes of Bing cherry, blackberry, mint, smoke, oak and chocolate and pairs well with rich foods. 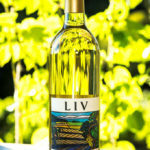 LIV’s Chardonnay has a soft oaky flavor, with hints of vanilla, spice and bread yeast and a hint of buttery note. It is a versatile wine that pairs well with baked, or barbeque fish, pork and poultry. The Fireside Port is a perfect companion on a cold winter day. This unique Port-style dessert wine combines Sangiovese grapes and Malbec combined with artisan brandy from San Juan Distillery. 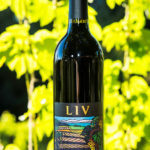 The wine has notes of raspberry, butterscotch, smoke and candied cherries, which results in a soft, mildly sweet finish.